I've been wanting to try my hand at oven roasting tomatoes for years. I recently had quite a few leftover tomatoes and I knew I wouldn't be able to use up before they went bad, so this seemed like the perfect opportunity. 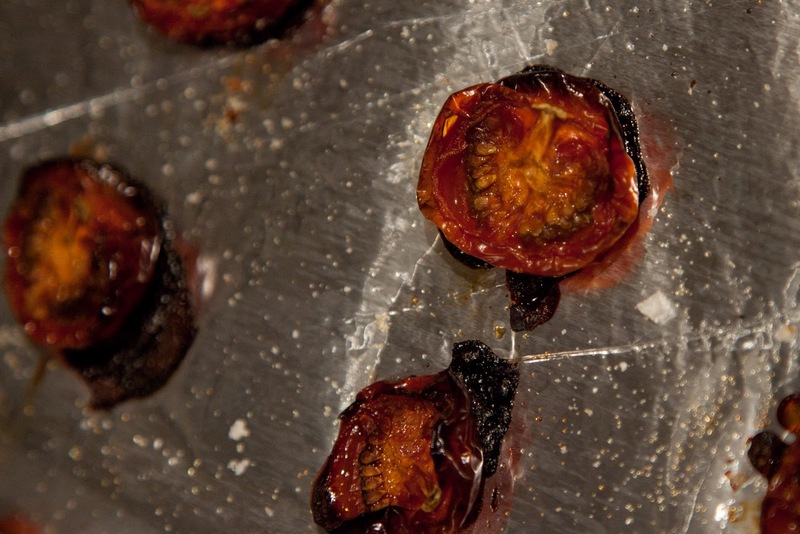 Preheat the oven to 160˚C and line an oven tray with foil. Cut the tomatoes in half lengthwise. 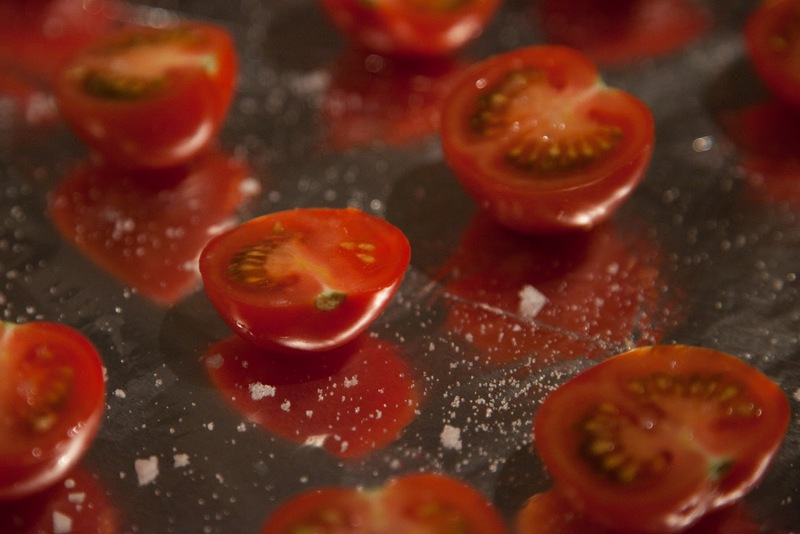 Arrange them in the tray and brush with olive oil. Sprinkle with a couple of pinches of salt and a large pinch of caster sugar. Cook for about 90 minutes to 2 hours. The time will vary depending on the size of the tomatoes - just be sure to not let them brown too much (as you can probably see from the pictures, I left them in a little too long). I used a biscuit tray lined with foil, but it would be better to use a roasting tray with a wire insert. This will allow the juices from the tomatoes to drip away. 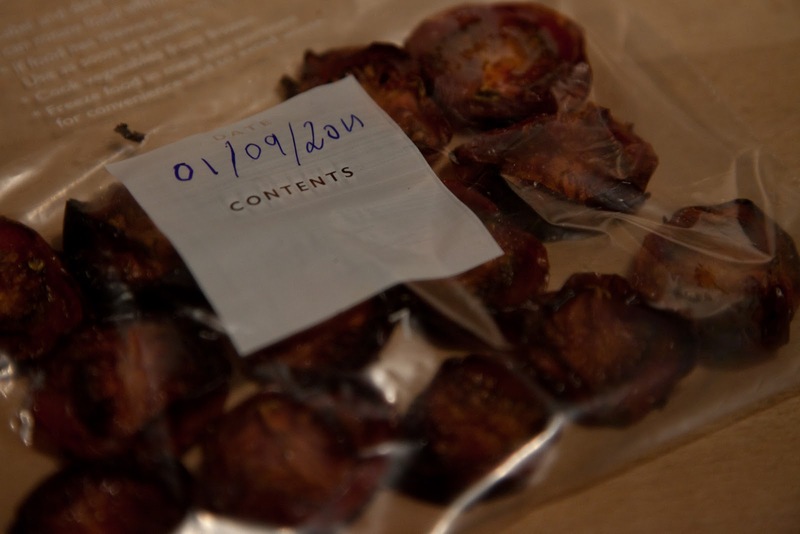 Next time, I will also try lowering the temperature (maybe to about 140˚C) and leave them in longer. I think that they could have been dried out a little more than they were. I popped mine into a resealable bag and into the freezer. A month later they made the perfect addition to a sandwich!